PASADENA, Calif. (NASA PR) — A thrilling epoch in the exploration of our solar system came to a close today, as NASA’s Cassini spacecraft made a fateful plunge into the atmosphere of Saturn, ending its 13-year tour of the ringed planet. 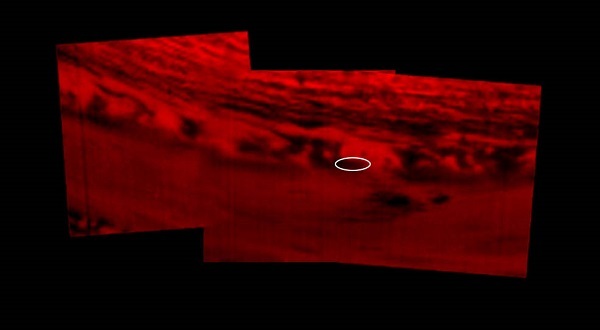 Telemetry received during the plunge indicates that, as expected, Cassini entered Saturn’s atmosphere with its thrusters firing to maintain stability, as it sent back a unique final set of science observations. Loss of contact with the Cassini spacecraft occurred at 7:55 a.m. EDT (4:55 a.m. PDT), with the signal received by NASA’s Deep Space Network antenna complex in Canberra, Australia. “It’s a bittersweet, but fond, farewell to a mission that leaves behind an incredible wealth of discoveries that have changed our view of Saturn and our solar system, and will continue to shape future missions and research,” said Michael Watkins, director of NASA’s Jet Propulsion Laboratory (JPL) in Pasadena, California, which manages the Cassini mission for the agency. JPL also designed, developed and assembled the spacecraft. Cassini’s plunge brings to a close a series of 22 weekly “Grand Finale” dives between Saturn and its rings, a feat never before attempted by any spacecraft. As planned, data from eight of Cassini’s science instruments was beamed back to Earth. Mission scientists will examine the spacecraft’s final observations in the coming weeks for new insights about Saturn, including hints about the planet’s formation and evolution, and processes occurring in its atmosphere. Cassini launched in 1997 from Cape Canaveral Air Force Station in Florida and arrived at Saturn in 2004. 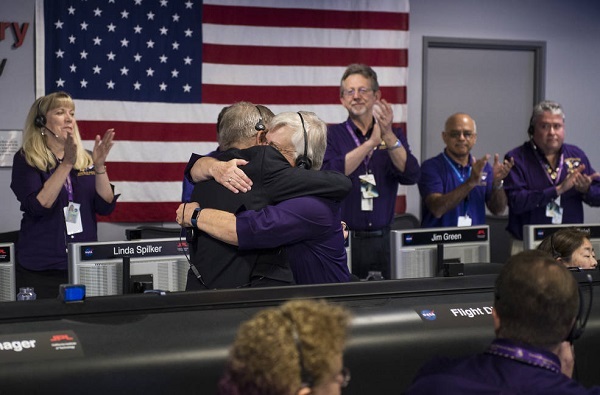 NASA extended its mission twice – first for two years, and then for seven more. The second mission extension provided dozens of flybys of the planet’s icy moons, using the spacecraft’s remaining rocket propellant along the way. 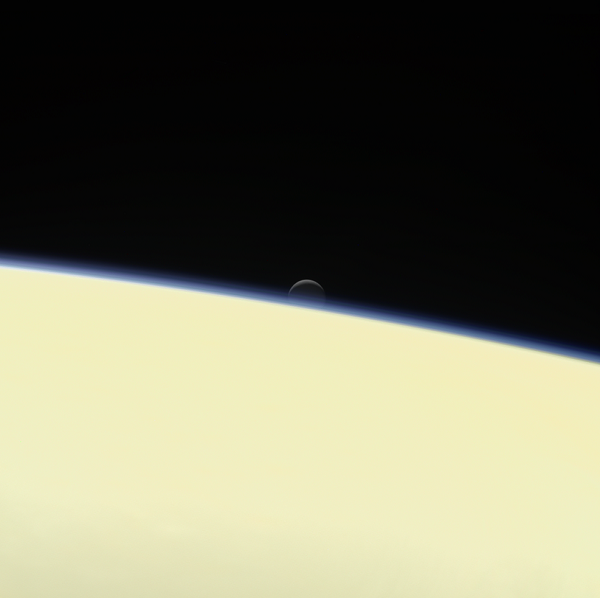 Cassini finished its tour of the Saturn system with its Grand Finale, capped by Friday’s intentional plunge into the planet to ensure Saturn’s moons – particularly Enceladus, with its subsurface ocean and signs of hydrothermal activity – remain pristine for future exploration. While the Cassini spacecraft is gone, its enormous collection of data about Saturn – the giant planet, its magnetosphere, rings and moons – will continue to yield new discoveries for decades to come. The Cassini-Huygens mission is a cooperative project of NASA, ESA (European Space Agency) and the Italian Space Agency. JPL, a division of Caltech in Pasadena, manages the mission for NASA’s Science Mission Directorate in Washington. Let us hope Cassini was not in fact the last of the super-probes. I want to see the next craft to Saturn a cross between JIMO and ENVISAT in capability–with a cubesat PEZ dispenser. Mothership idea is the right way.